Zlatan Ibrahimovic noted this week in his own inimitably self-regarding fashion that he had taken just three months to conquer England. On Sunday, it took one second for him to earn the eternal love of his new Manchester United disciples. As Paul Pogba again underachieved, this time in calamitous fashion in the 1-1 Premier League draw with Liverpool, it was left to their other expensive close-season signing to deliver. 'Ibracadabra!' as headline writers often say of the great man. 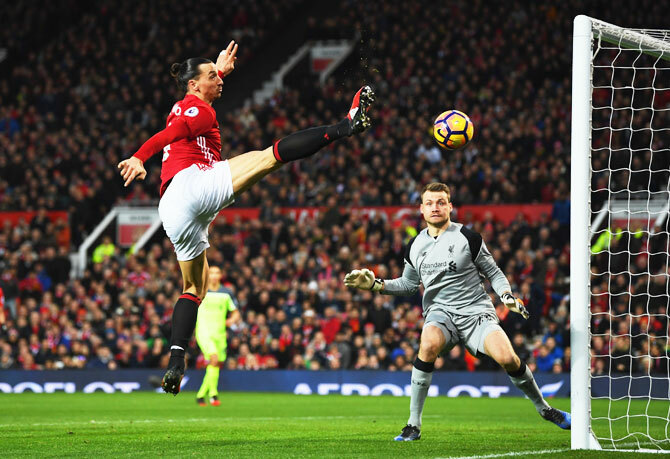 With a goal that demonstrated all the athleticism, power and poise he still houses in that extraordinarily elastic 35-year-old frame, Ibrahimovic twisted in the air to get some unlikely headed power on to a floated cross from Antonio Valencia. 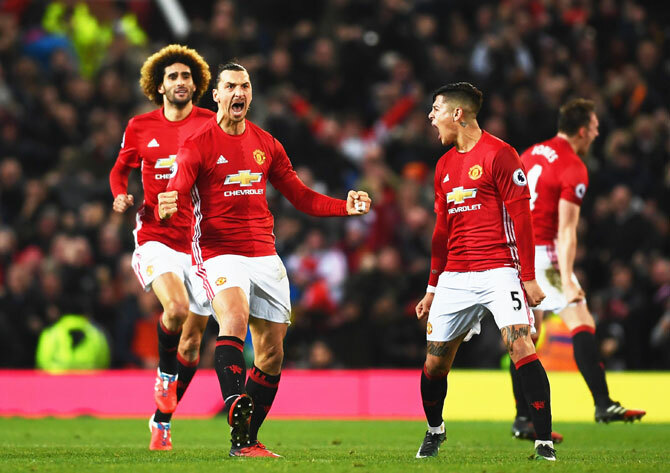 The ball looped into the net to earn United a point that keeps their title hopes flickering while putting a dent in the Merseysiders' hopes. It looked as if it had come from nowhere. 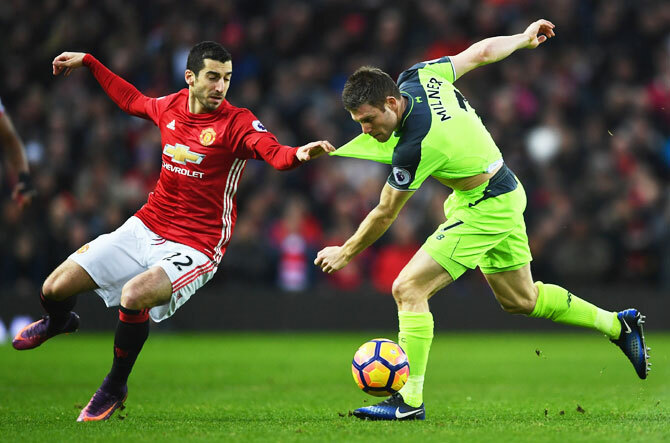 United had been floundering, looking short of ideas and more likely to get picked off by an assured, counter-attacking Liverpool, who led through a first-half James Milner penalty. Pogba, all 89.3 million pounds ($107.24 million) of him, had been hassled on defensive duty by Dejan Lovren, looking like a hapless, bullied sentry rather than the world's most expensive midfielder. There was no inspiration from the Frenchman. Yet Ibrahimovic has become a totem in manager Jose Mourinho's regime at Old Trafford, just as he was when the pair were at Inter Milan together. He is the go-to man with the presence and the skill to produce when all seems lost. Wayne Rooney may have been brought on at halftime in the hope that he might provide a record-breaking moment with his 250th United goal but he was off the pace and it always seemed more likely that their mighty Swede would be the redeemer. "It was a good cross, I thought Marouane Fellaini's header would go in the goal but it hit the post and we had a second chance, Valencia put in a good ball and I just tried to hit the goal," said Ibrahimovic. He made it sound routine but what was an exceptional finish from Ibrahimovic has become a workaday sight at Old Trafford. The man who started his English reign slowly -- with critics pondering the prospect that in the later years of his career he might just become too much of a sedate hindrance to an all-action, fast-paced United approach -- just cannot stop scoring. This was his 19th goal in all competitions, including 14 in the league, which equals the strike rate of former Blackburn Rovers and Newcastle United great Alan Shearer and ManchesterCity's Sergio Aguero in their first 20 Premier League matches. Yet even more striking now Ibrahimovic has found his range is that it was his 11th goal in his last 11 league games. Not bad for a man who was once dismissed by his British critics, who always claimed he could not produce against English sides, as being overrated. Now, of course, England knows differently; the man really is as good as he believes he is.